WELL, that was a weekend… I was supposed to be getting things done but instead had a kindle glued to my hand. I had grand plans, so very little got accomplished. As always you will find that this is a spoiler free review. If you need more, Goodreads has plenty of ways to spoil the books from start to finish. These books reminded me of so many of my favorite things. Now having said that I did not feel in any way I was reading someone else’s story. The writing was fresh, solid and the characters deep. I will give you my book highlights, below but overall I think the series is a smashing success. I give it 9 out of 10 roses, I mean Stars. Ok I freely admit, I am one of ten people on the entire planet who doesn’t get all smooshy (It is a word, I swear) over Beauty and the Beast. This book is really well written, the characters are deep, and there are times where I could not put it down!! The ending however, *sigh* at the end I had to turn to my book club and ask them, “Is it really worth it to go on to book 2?” Now, let me explain why… For me it was just too “Happy Ever After”, too Disney, too… ugg, so I told them, unless there is more to this, I am done. I don’t have to like things everyone else loves, I am ok with me and all my quirks… The book had parts that were very compelling, but I needed more darkness. “Oh, shut up and read book two” was all I got. So I did. I think before the 4th chapter I was double dog daring ANYONE to try to remove the kindle from my hand *just do it, try, I kiiiilll you* The author heard me, I swear she heard me… She took the story of book one and shook it really hard, like a snowglobe. Then she threw it on the ground, stomped on it a few times and pulled the ONE THREAD that I wanted out of the darkness and tossed it into a nonstop thrill-ride of a book. It was everything I wanted, everything I hoped for. And as I moved swiftly to the end (screaming the whole way) I realized I was the short sighted one… she in fact was brilliant. I forgave her immediately for the way book one ended. Oh I could not start it fast enough. I am sorry for all of you who had to wait out the author writing it. It must have killed you inside, and slowly, like a nightmare. I dove in *screw the household chores, who needs clean things anyways? * and was not disappointed. For the most part I found this book to be as grand as book two. Fast and twisty, just like I had hoped for. I will see stars differently now. 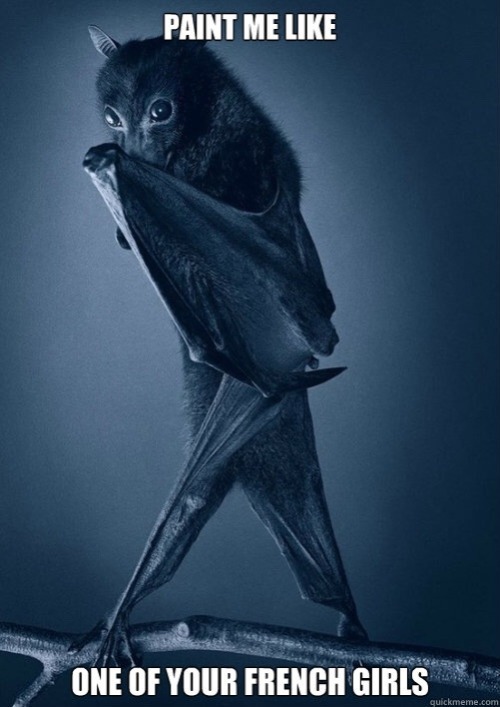 I may have to take up painting, maybe I will start with bats. I have minor issues with the ending, but overall I still hold that I dug this series. We can fight about my issues later. Personally I think that the series should wrap here. I saw a beautiful 3 book arc. BUT Hells, what do I know. If she shakes this thing and makes book four anything like book two I will devotedly stalk her like a good fangirl.